Camel milk has untapped potential to be used in providing secure livelihood for camel breeders and be a nutritious food for all. Breeders are often nomadic in nature, inhabiting arid and semi-arid regions of the world, that are drought-prone. Some such regions in Africa and the Middle East are conflict-ridden and access to food and other commodities is uncertain. Pushing for regulating camel milk supply can benefit locals in such a scenario. 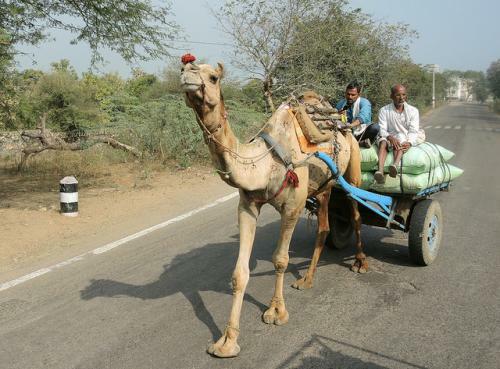 In Rajasthan, camels are being sold at distress prices as their traditional use for ploughing and transportation is declining. Consumption of camel meat has been deemed illegal. The livelihoods of the Raikas people is deeply affected and much of their income is much depleted due to their inability to look after the camels and make a livelihood. Thus, opening of camel research and breeding centres in the gulf and in Bikaner in India is a good sign. Famine-like conditions have gripped parts of Africa. Increase in production and consumption of camel milk can work towards addressing the crisis. Camel milk is low in fat and nutritious according to new research at the Camel Research Centre. It is richer in vitamin C than cow’s milk. It can be used to make cheese, ice-cream, buttermilk and nut-based products due to its salty taste. The Raika herders in Rajasthan consume camel milk raw, straight from the udder, but that may not be practical. Although nutritious, camel milk has a short shelf-life, which necessitates the use of containers to preserve the nutrients. To prevent it from going bad, methods used by Anand Milk Udyog (Amul) can be replicated. The Gujarat-based cooperative uses pasteurised containers to collect milk, which is then transported. Ilse Kohler-Rollefson, a German scholar, works closely with the Raika community at Bikaner’s National Camel Research Centre. She has been working to make camels a sustainably used livestock and to market camel milk products. For instance, Rollefson produces cheese from camel milk, to be sold in urban areas. Cues can be taken from Amul for distribution of camel milk products as well. Amul has successfully marketed with unique advertising and good quality products. The profits go to a cooperative of farmers, eliminating the presence of middlemen. Every morning, trucks can go around collecting camel milk from herders. Each person can be paid in accordance with the milk given. The cooperative, with help from a company to advise and provide professional management, can earn decent profits as well as fulfil its social purpose of providing adequate livelihoods to camel breeders. Such a system will provide sustained livelihood to camel breeders and propagate the use of camel milk, which has been known as a source of protein. Other benefits include healing diabetes and boosting the immune system, however, more research is needed to prove these beliefs. Many other states neighbouring to Rajasthan like Gujarat, Haryana and Madhya Pradesh could also benefit from such a cooperative venture.